« How am I ever Going to get my Child to eat Fresh Foods? When I was younger, I attempted to run from my brother as he dragged his feet across the carpet and touched my arm, giving me an electric shock. It amazed me that in seconds he could just zap me with his finger! Another childhood memory was having sleepovers with my friends and we would all wake up with our hair standing straight up from the static from our sleeping bags. Later in life, I was training for a marathon swim. I was with a group and we swam about 1 mile off shore. A storm moved in quickly with thunder soon following. I was concerned about what was to come as I knew people in water and lighting was not a good combination. We luckily arrived at shore with no time to spare. Lighting was cracking directly over the water and we were thankful not to be the conductors! In 2011, a chiropractor had given me a craniosacral therapy book and a massage table and said, “Here, I think you’d be really good at this.” I hadn’t a clue what craniosacral therapy was, but after briefly looking through the book, I thought it was interesting so I decided to try a class. What I learned was that craniosacral therapy is a hands-on technique that uses light touch to access the membranes around the spinal cord and brain to release restrictions and improve the circulation of cerebral spinal fluid. Improving the function of this craniosacral system can positively influence the functioning of the whole body, which results in better health, reduced inner stress, and access to your own body’s inner wisdom. Initially, I had my apprehensions about the technique as it was so light and the measurement of change is more qualitative than other techniques I have learned over the years. However, as the instructor reviewed the structure of the body, the power of the nervous system, and the electrical exchange between the therapist and the client, I started to realize the what I had naturally experienced in the past and the information that was being provided during the course are really one and the same. I think what I found most interesting about craniosacral therapy is the idea that you access change through electromagnetic fields. There are an estimated 100 billions neurons (nerve cells) in the human brain. The human body conducts electricity. Everything that conducts electricity has an electromagnetic field. The human body has over 50 complex electromagnetic fields. The hands have 13 picoamps of electricity that can come off of them at one time. If electricity comes off the hands, then we can energetically influence other things we conduct with, including other humans. That is pretty mind blowing if you ask me! As a human and as a practitioner, I felt compelled to explore the possibility of influencing the nervous system through this hands-on approach. Can we create changes in the nervous system through light touch on parts of the body, specifically the spinal cord and the skull? I do believe we can and I have clinical observations and client feedback that support this belief. The results I have seen have been effective and positive. 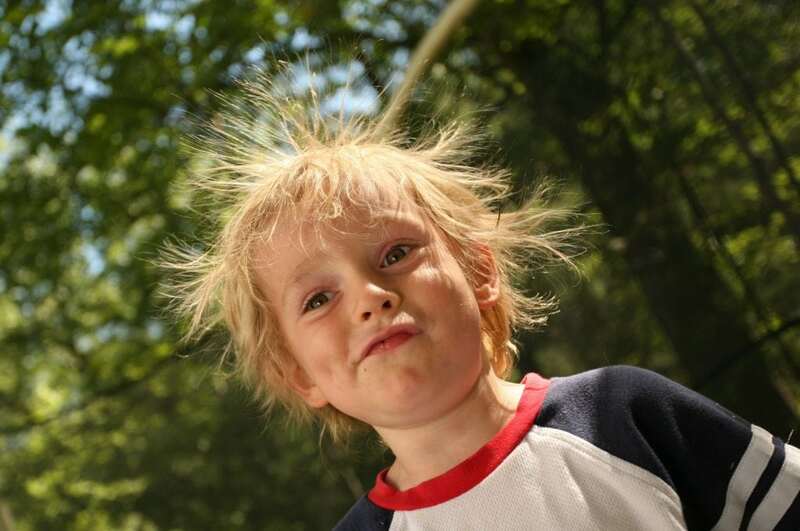 Children with hyperactivity have been able to transition to a state of calm. Children and adults with anxiety have been able to manage everyday stressors with better success. Children with decreased coordination have demonstrated greater success with motor skills. Babies with poor latches, colic, and physical restrictions are able to eat, interact, play, and sleep with greater ease. In one instance, a child with a seizure disorder had cessation of seizures according to pre and post testing by the neurologist and with no other new treatments occurring at that time. As humans we innately want to connect and to interact with others and the things around us. When a person whether infant, child, or adult presents with a dysfunction within the nervous system, it influences their choice of interaction and their experiences. The dysfunction can lead to a whole host of issues impacting quality of life or perception of life. Cranial sacral therapy is just an example of how we can help nurture a person’s nervous system as a means of improving quality of life and understanding one’s self. Some individuals may find these types of therapies abstract as they are not commonly heard of in the general population. However, when we can connect these abstract concepts to common experiences such as electric shocks from touching something after rubbing your feet on a carpet or avoiding water when lighting storms are approaching, we can allow ourselves to open up to the possibility that a therapeutic, hands-on technique could create positive influences within our bodies.